Announcement African print pillows, African print cushions, African print throw pillows, African print throws African print lampshades, African print lamps, African print aprons, Ankara oven gloves, Oven mitts, African print card holders, card wallets, coin purses, African print table cloth, table runners and much more. 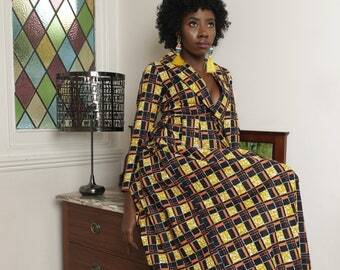 We offer a range of African homeware items inspired by the West African ankara, kitenge or kente cloth. There we share any promotions, style inspiration and upcoming events. Please do send us photos of how you've styled our products! African print pillows, African print cushions, African print throw pillows, African print throws African print lampshades, African print lamps, African print aprons, Ankara oven gloves, Oven mitts, African print card holders, card wallets, coin purses, African print table cloth, table runners and much more. Arrived extremely quickly, was excellent quality and the pattern was stunning in real life. Cute! Just as shown! Shop is responsive and courteous! Our cushion beautifully styled in a cosy corner! CHRISTMAS SHOPPING BOOSYER SALR THIS WEEKEND ONLY! USE CODE XMAS20 AT THE CHECK OUT FOR 20% OFF! Living and working in London, as a Cognitive Behavioural Therapist, I recognised the importance of one’s home environment, in coping with issues such as anxiety and low mood. Being of Ghanaian descent, I grew up being surrounded by vibrant colours and prints, which she found to be uplifting, as a child. 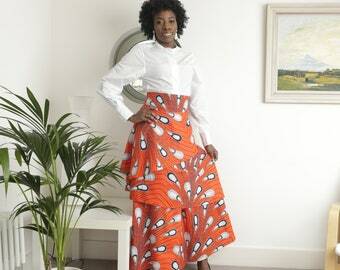 Motivated by my experience and love of sewing, I went on built an eclectic homeware brand rooted in African expression. Hey I'm Natalie Obenewa, or Binny for short. I am the creator and maker of all the Bespoke Binny products. I work as a CBT therapist during the day, helping people suffering from anxiety and depression. When I come home from work the sewing begins! This is my husband, he helps me keep my books in order. If it wasn't for him, I would buy enough African fabric to cloth a small village and would not have a clue how much money I'd spent. He is also very good with spreadsheets. This product was designed by Bespoke Binny and hand made from scratch by a talented professional bookbinder. Find BespokeBinny at the following upcoming market! 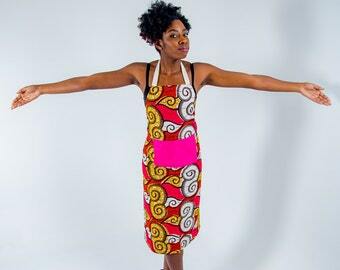 A day of African inspired crafters and makers selling their wares! African phone and entertainment too. Welcome to my little corner of Africa! 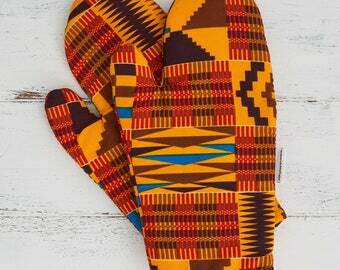 Here you'll find African inspired homeware from pillows to lampshades, aprons, oven gloves, table runners and much more! The ethos of Bespoke Binny is on holisitic living but all my products are designed with modern contemporary living in mind. 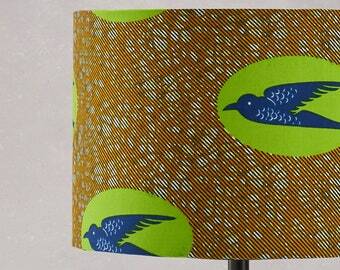 All my homeware is designed with bright colorful prints to uplift your mood and brighten your home. My aim is to spread positivity and uplifting energy through my products. Bespoke Binny will be happy to exchange or replace faulty items within 30 days of original shipment. Refunds and exchanges will ONLY be processed within 30 days of the date of purchase. All items must be returned unused and in their original condition in order for a refund or exchange to be processed, less shipping. If damage occurs during delivery, we will be happy to recreate the original piece. However, many of our pieces are limited edition and recreating may not always be possible. Paypal, etsy gift cards and credit and debit cards are accepted. GENERAL SHIPPING NOTES: All items sold are READY TO SHIP! All orders placed before 2pm GMT will be dispatched the next working day. All items (excluding card wallets) are sent by first class recorded/tracked delivery and will require a signature upon reciept. This applies to both EUROPEAN and INTERNATIONAL orders. Card wallets are sent by first class post and are small enough to be posted through your letter box without a signature. Please do feel free to contact me if you have any queries about shipping. Your item(s) will arrive neatly packaged, perfect for gift giving. All efforts and precautions are taken to ensure a safe and undamaged delivery. I do accept wholesale orders, please do get in touch to discuss! Are your pillows sold with inserts? Yes! All our items are ready to ship. All orders placed before 2pm GMT will be dispatched the next working day (and if not the day after that). Please be aware if you are placing an order outside of Europe customs occasionally hold onto your parcel until custom taxes are paid. This may cause delays and is unfortunately out of our control. Please bare this in mind if placing a rush order.